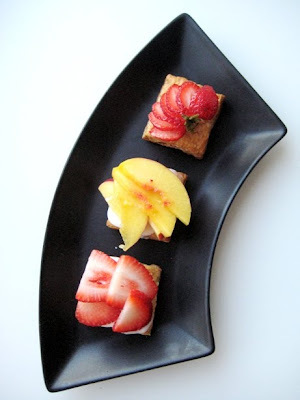 One of my favorite dessert! Delicious. Looks delish! Love the last photo! oh i love napoleons!! yum!! I also have a lot of ideas when I'm falling asleep! 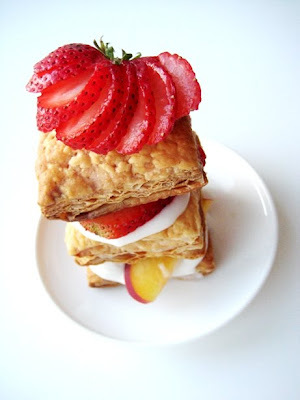 And these napoleons was a great idea!! Looks gorgeous! 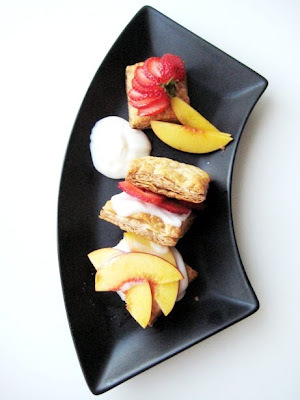 What a wonderful way to use your puff pastry. Your Napolean's look over the top good. Beautiful, bright, and summery! Definitely a better use for puff pastry than wrapping salmon! Over the top GOOD Olga. These look fabulous! I love the pairings. Thanks so much for your wedding favor suggestion! This dessert looks heavenly. So perfect for summer! 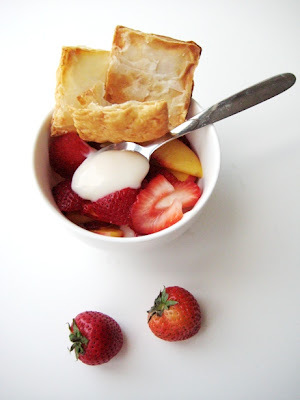 This is a perfect way to get my daughter to eat her fruits - with puff pastry which she loves! Beautiful dessert! Wow! These look absolutely BEAUTIFUL!!!! 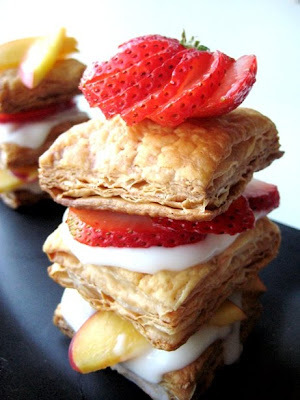 Great idea to add fruit to Napoleon. However, Napoleon is just not Napoleon to me without the pastry creme..
What a feat! Beautiful pics!